Easy-to-install carpet cove base by Coveworks Inc! Sold in a 4 inch height, this durable carpet cove base is available in 32 different colors. This attractive carpet cove base is sold by the foot, with a minimum order quantity of 1000 feet. This carpet base is constructed with quality 1/10 gauge 30 ounce nylon commercial grade carpet, making it superior to other carpet cove base. Each edge is clean with a 1 1/4" fold providing a more durable edge and finished appearance. The carpet wall base has an easy-to-use peel and stick adhesive included. This means you don't have to deal with messy glue or unsightly staples. The included glue adhesive is 100% acrylic it never becomes dry or brittle. 4 Inch height carpet wall base in the color Blackout. Coveworks Inc manufactures durable self-adhesive carpet cove base for easy installation. Carpet base is sold by the foot, but with a minimum order quantity of 1000 feet. Self-adhesive carpet wall base in the attractive color Black Pearl. The durable 4 inch height carpet base is sold by the foot. Minimum order of 1000 ft.
4 Inch height carpet wall base in the color Nickel. Coveworks Inc manufactures durable self-adhesive carpet cove base for easy installation. Carpet base is sold by the foot, but with a minimum order quantity of 1000 feet. Self-adhesive carpet wall base in the attractive color Blue Bayou. The durable 4 inch height carpet base is sold by the foot. Minimum order of 1000 ft.
Sapphire carpet wall base with self-adhesive backing. 4 Inch height carpet cove base sold by the foot. Minimum order of 1000 ft.
Self-adhesive carpet wall base in the attractive color Lapis. The durable 4 inch height carpet base is sold by the foot. Minimum order of 1000 ft.
4 Inch height carpet wall base in the color Key Largo. Coveworks Inc manufactures durable self-adhesive carpet cove base for easy installation. Carpet base is sold by the foot, but with a minimum order quantity of 1000 feet. 4 Inch height carpet wall base in the color Wild Sage. Coveworks Inc manufactures durable self-adhesive carpet cove base for easy installation. Carpet base is sold by the foot, but with a minimum order quantity of 1000 feet. Self-adhesive carpet wall base in the attractive color Backwoods. The durable 4 inch height carpet base is sold by the foot. Minimum order of 1000 ft.
4 Inch height carpet wall base in the color Deep Lagoon. Coveworks Inc manufactures durable self-adhesive carpet cove base for easy installation. Carpet base is sold by the foot, but with a minimum order quantity of 1000 feet. Self-adhesive carpet wall base in the attractive color Hearty Hosta. The durable 4 inch height carpet base is sold by the foot. 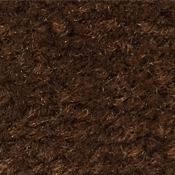 Minimum order of 1000 ft.
4 Inch height carpet wall base in the color Bitter Chocolate. Coveworks Inc manufactures durable self-adhesive carpet cove base for easy installation. Carpet base is sold by the foot, but with a minimum order quantity of 1000 feet. Self-adhesive carpet wall base in the attractive color Saddle Brown. The durable 4 inch height carpet base is sold by the foot. Minimum order of 1000 ft.
Self-adhesive carpet wall base in the attractive color Marble Canyon. The durable 4 inch height carpet base is sold by the foot. Minimum order of 1000 ft.
4 Inch height carpet wall base in the color Oatmeal. Coveworks Inc manufactures durable self-adhesive carpet cove base for easy installation. Carpet base is sold by the foot, but with a minimum order quantity of 1000 feet. Self-adhesive carpet wall base in the attractive color Greenfield Pumpkin. The durable 4 inch height carpet base is sold by the foot. Minimum order of 1000 ft.
4 Inch height carpet wall base in the color Kidskin. Coveworks Inc manufactures durable self-adhesive carpet cove base for easy installation. Carpet base is sold by the foot, but with a minimum order quantity of 1000 feet. Self-adhesive carpet wall base in the attractive color Oyster. The durable 4 inch height carpet base is sold by the foot. Minimum order of 1000 ft.
Pecos Spice carpet wall base with self-adhesive backing. 4 Inch height carpet cove base sold by the foot. Minimum order of 1000 ft.
4 Inch height carpet wall base in the color Bordeaux. Coveworks Inc manufactures durable self-adhesive carpet cove base for easy installation. Carpet base is sold by the foot, but with a minimum order quantity of 1000 feet. Self-adhesive carpet wall base in the attractive color Cherry Brandy. The durable 4 inch height carpet base is sold by the foot. Minimum order of 1000 ft.
Self-adhesive carpet wall base in the attractive color Exotic Purple. The durable 4 inch height carpet base is sold by the foot. Minimum order of 1000 ft.
4 Inch height carpet wall base in the color Raw Cinnabar. Coveworks Inc manufactures durable self-adhesive carpet cove base for easy installation. Carpet base is sold by the foot, but with a minimum order quantity of 1000 feet.